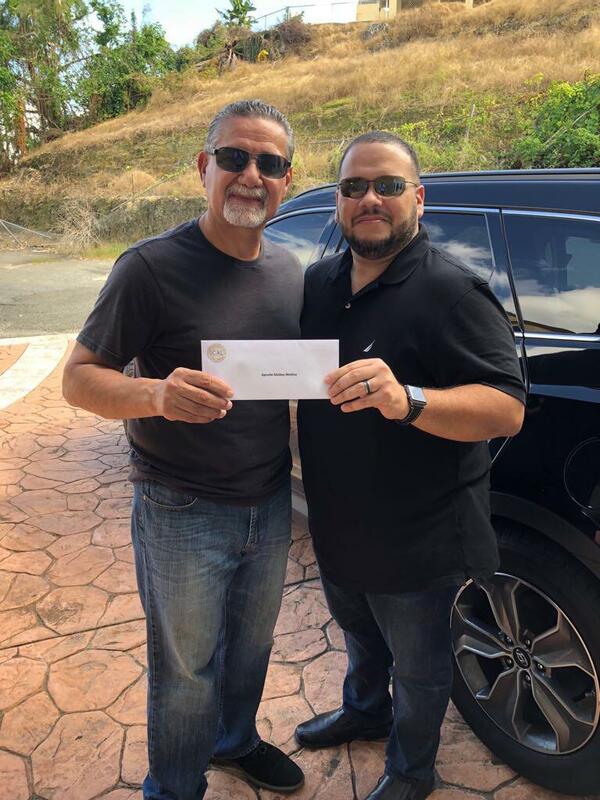 During the first week of December, Miguel Perez (ICAL’s Ambassador to Puerto Rico) delivered financial donations from ICAL to members of the Puerto Rican Coalition of Apostolic Leaders (CLAPR). In September, Puerto Rico (PR) suffered the worst hurricane in nearly 100 years leaving total destruction throughout the entire island. Every CLAPR member’s home and churches suffered major damage, thankfully no member lives were lost. After the disaster, John P. Kelly (ICAL’s International Convening Apostle) conferred with the Apostolic Council about the best way to help CLAPR and they decided cash dollars was the most effective method so members could purchase exactly what they needed or distribute to those in need. 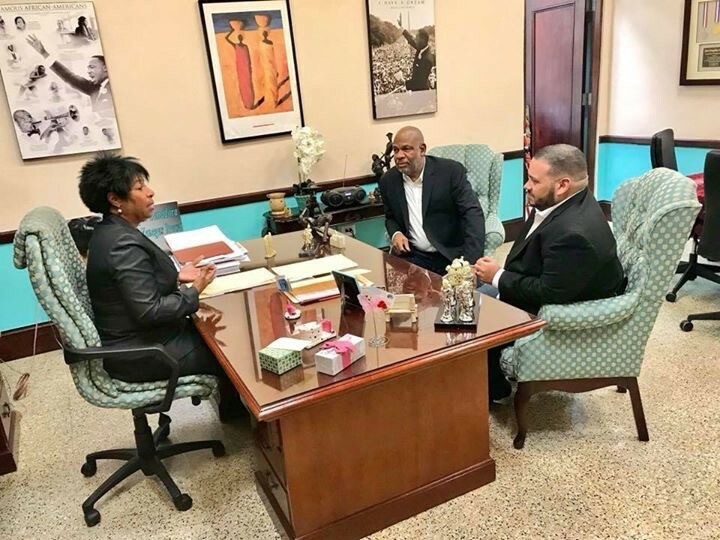 A fund for PR assistance was set up on the ICAL website and a special offering received at the November Annual Congress. Miguel Perez planned a trip to PR and with the help of PR member Sydney Stair (ICAL Ambassador to Latin America and the Caribbean) they traveled across the very large island for two days delivering the funds to Mickey Medina (Convenor for CLAPR), Daniel Vargas, Mandy Perez, and Walter Santiago. They also had the privilege of meeting with another CLAPR member - Senator Nayda C. Venegas in her office at the Capitol building in San Juan. Miguel said, “We had the opportunity to spend time with the Senator, listen about the different projects and legislation she is working on and pray with her and the staff at her office”. Senator Venegas is an apostle representing God and His Kingdom in the church and the government of Puerto Rico. Members are very grateful for the funds, but they said the most important thing to them was that they are not forgotten or overlooked by ICAL members. They truly felt the love and support from contacts with other members that they needed to get through the months after the devastation. PR is a very large island and members live in different areas, so each had a different experience to share about the hurricane and the aftermath. Even now, 30% of the island does not have electricity, including Sydney Stair and his family. Please continue to pray for a renewed Puerto Rico infrastructure and for the people’s, hearts, souls, and bodies to be healed where needed. 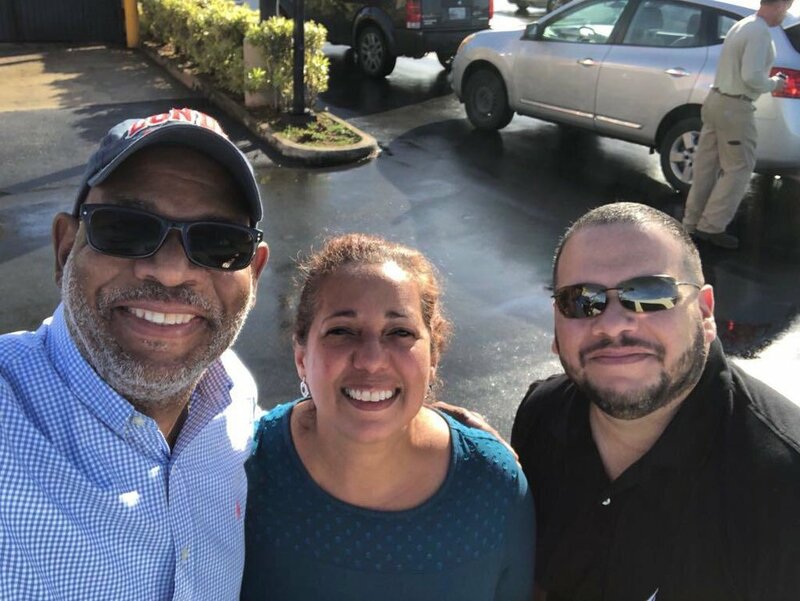 God is doing a great work through the apostolic leadership, the Church and those called to advance his Kingdom in Puerto Rico and the Caribbean islands.